This fantastic mobile dispenser for HD mill wound steel strapping is ideal for those working with palletised goods on a daily basis. 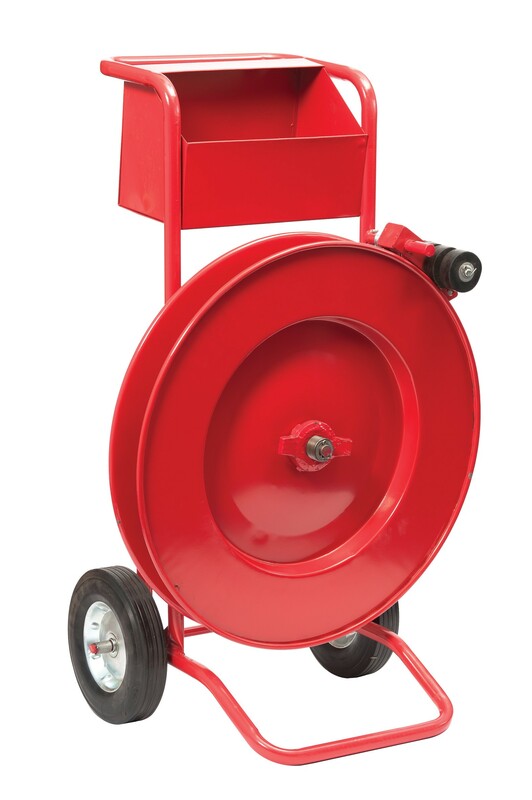 The dispenser features large diameter wheels that allow it to be wheeled with ease over uneven surfaces. A strap guide ensures that the strap end is in a convenient position for use and a large capacity storage bin can hold the likes of seals and tools. The mobile dispenser has been made to the highest of standards to ensure that it is strong and reliable.